Everyone in the world is obsessed with the beauty of fish after watching ‘Finding Nemo’. But in actual, not all the people get the chance to experience the beauty of fish world too closely. 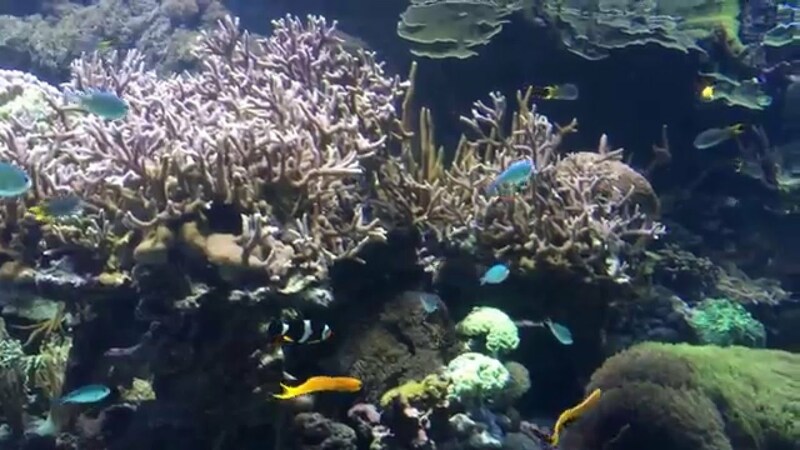 But in the world, there are a lot of places which have installed most incredible aquariums that consist of amazing fish species so that you will fall in love with them instantly. 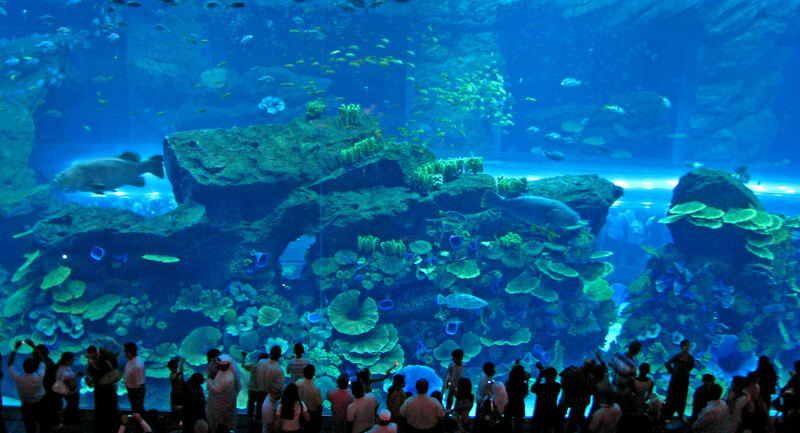 Located in the Ocean Expo Park in Okinawa, Japan, Okinawa Churaumi Aquarium is one of the largest aquariums in the world. The main attraction of Churaumi Aquarium is the massive Kuroshio Tank. The tank contains a wide variety of species, the most striking of which are the giant whale sharks and manta rays. At the entrance, there is a pool where visitors can touch living starfish and seashells with their own hands. UShaka, the world full of fun, amusement and uniqueness is situated in Durban, South Africa. 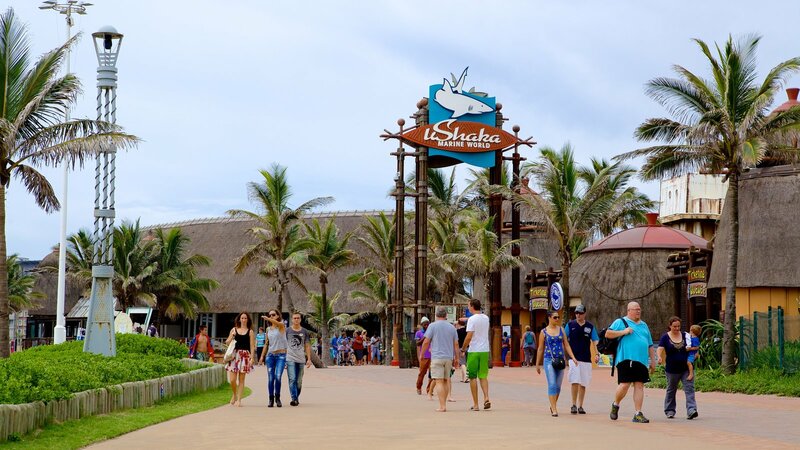 It is a 16-hectare theme which comprises of different sections – UShaka Sea and Dolphin World, uShaka Village Walk and, UShaka Kids World and more. The eateries in the aquarium allow you to consume the food in the restaurant along with the sights of sea creatures in the tanks. 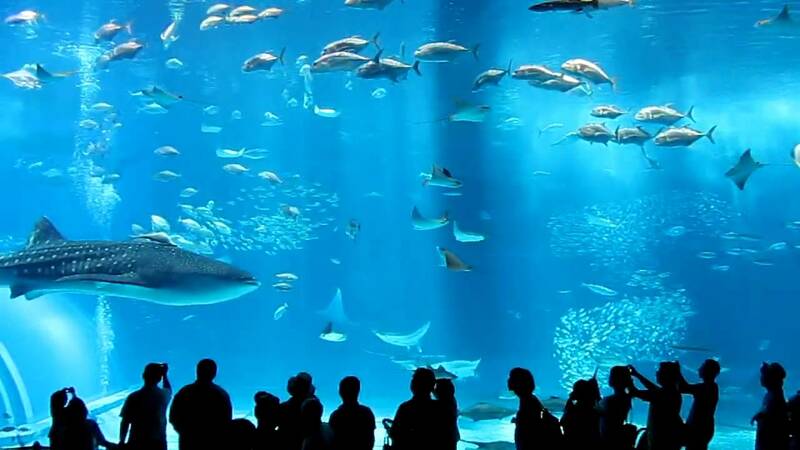 The Dubai Mall, the largest shopping mall in the world by the area also has the underwater world of spectacular sights which comprise of sharks, sting rays, and other 33000 sea animals. Shanghai Ocean Aquarium in China is the largest aquarium in Asia. The main highlight of this aquarium is the underwater tunnel that is 155 meters long. Visitors are treated to the sights of Chinese water dragons and even rare penguins from Antarctica along with the number of endangered species. Monterey Bay Aquarium, a non–profit public aquarium has maintained its status as the most amazing aquarium in the world since 1984. It is located in Monterey, California, United States. 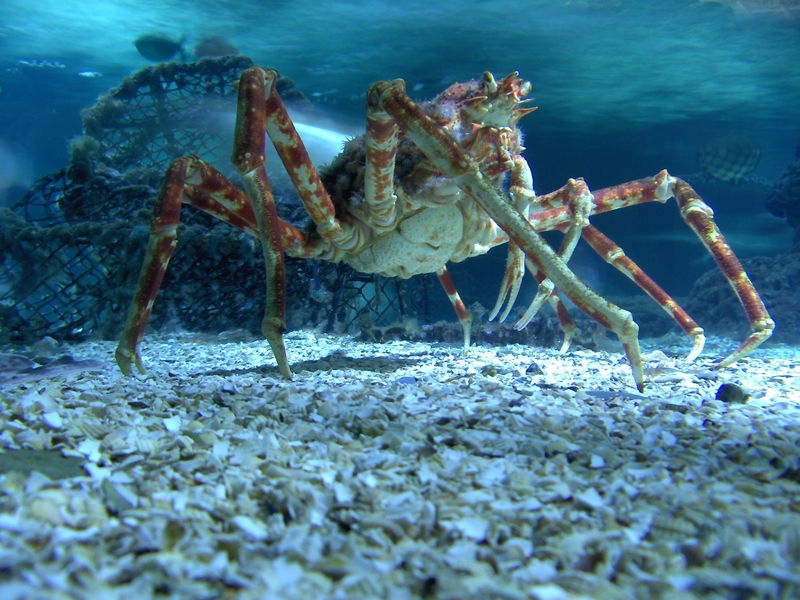 You can meet big, flashy fishes, riveting reptiles, colorful crustaceans, and featuring animals from Baja’s deserts, mangrove forests, and coral reefs. Located in the east of Valencia, Spain, L’Oceanografic is considered as probably the largest aquarium in Europe. The place itself is already a sight to behold, with its impressive water lily-inspired structure and its Underwater Restaurant and the Access Building which welcomes visitors stand out because of their spectacular roofs designs. Turkuazoo is located inside the Forum Istanbul Shopping Mall in Turkey; opened up in 2009. It has around 30 exhibits and several different zones – tropical seas, flooded forests, and rain-forests. It is the home of around 10,000 sea animals. Located in the Radisson hotel, Berlin, Germany, the aquarium has a cylindrical shape. 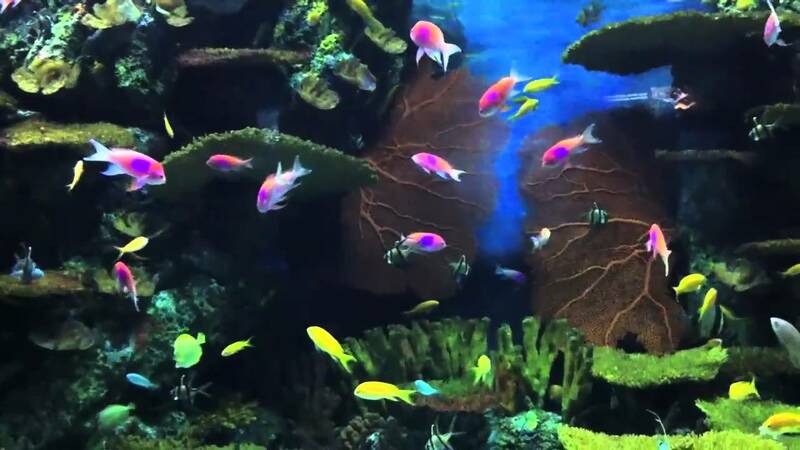 It is not either the largest or the biggest aquarium; however, you will be mesmerized by its structure and the transparent elevator that goes right through the entire tank. The Deep Aquarium is actually a submarium located in Hull, England. It has tanks filled with 2.5 million liters of seawater. It plays host to seven varieties of shark species, as well as more than 3,500 different kinds of sea animals and creatures. 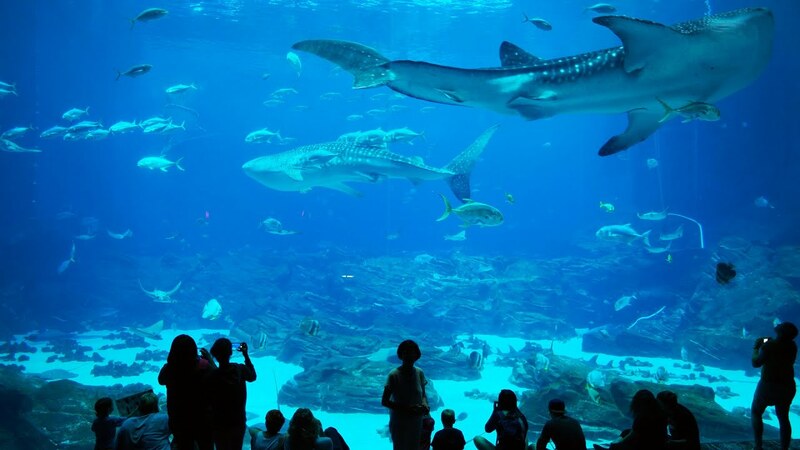 It is one of the largest aquariums, located in Atlanta, Georgia, USA, housing tens of thousands of animals. It is famous for whale sharks and a mammoth tank with 6.3 gallons of water in it. 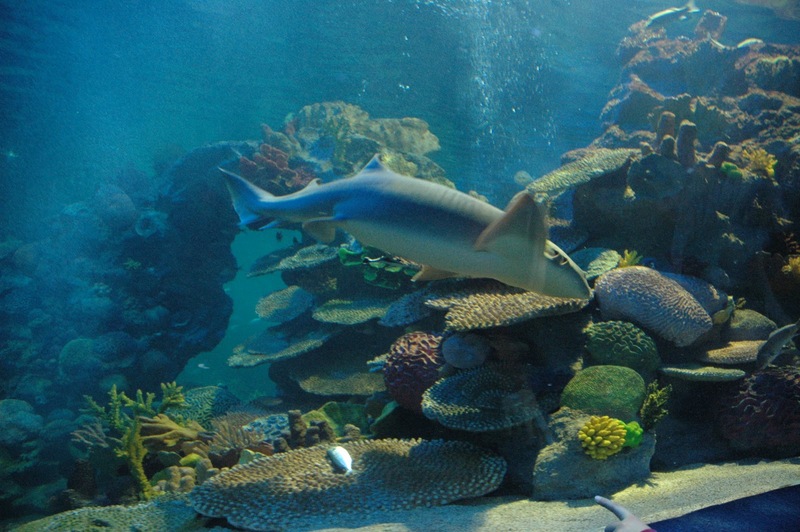 We are pretty sure that some of these aquariums must have given you Goosebumps. There are so many other names that must have pinched on your mind, in such cases, you can convey your thoughts with us in the comments section.